Kansas City Police's South Patrol opened its doors Wednesday night to help neighborhoods establish Neighborhood Watch Groups and tackle crime. KANSAS CITY, Mo. 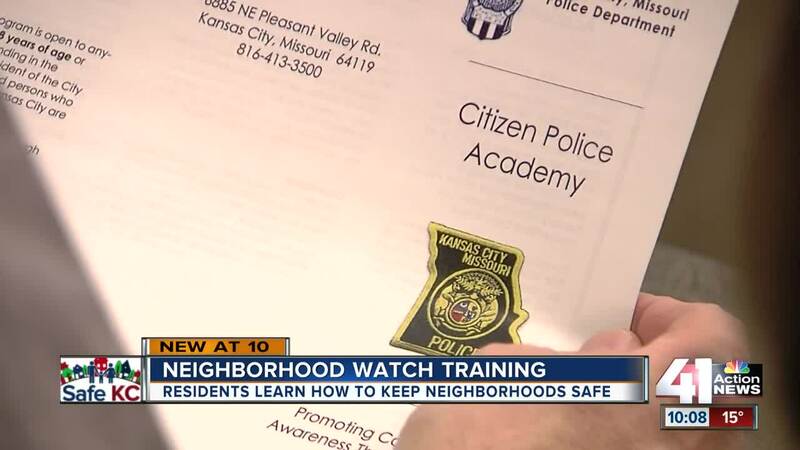 — Kansas City Police's South Patrol opened its doors Wednesday night to help neighborhoods establish Neighborhood Watch Groups and tackle crime. More than 20 people from across Kansas City asked questions and engaged in discussion. The goal-- make their neighborhoods safer. "It makes us feel good that people are coming and having an interest," said KCPD Officer Aaron Whitehead. Topics discussed ranged from how to spot a suspicious person to when neighbors should call 911. It's information Chadwick Smith enjoyed learning. He and his neighbors have wanted to start a neighborhood association after police investigated a double homicide last August near Longview Lake. "We are here to learn about how we can bring the neighborhood together and make it a little safer," he said. "Just some education, some steps we can take to work as a community and help our community and protect it." KCPD plans on hosting similar events at each of its stations. The department is now accepting applications for its Citizens Police Academy, which runs from March 5 to May 14. F or more information or to apply, visit their website .